We had a break from the rain which enabled us to wade the river of March, that month that replaces the flowers of Seville with mud, its orange blossoms with the crouching under the blanket. It’s so cold, you can tell it by a quick glance at the multitude of grumpy faces all around, reading the series’ program, from rain to rain, from rain to disappointment. The offering in Flamenco viene del Sur Tuesday’s edition is mouth-watering. Upon hearing his name, people put on their theater shoes and come to the Central theater with their faces washed and pores open. Tonight, Antonio EL Pipa, born in Jerez de la Frontera in 1971, will dance. Antonio Ríos Fernández, that is, from the Santiago district of Jerez, the grandson of Tía Juana and nephew of Juana and Antonio del Pipa. He brings us all his wisdom, his own and his whole family’s. 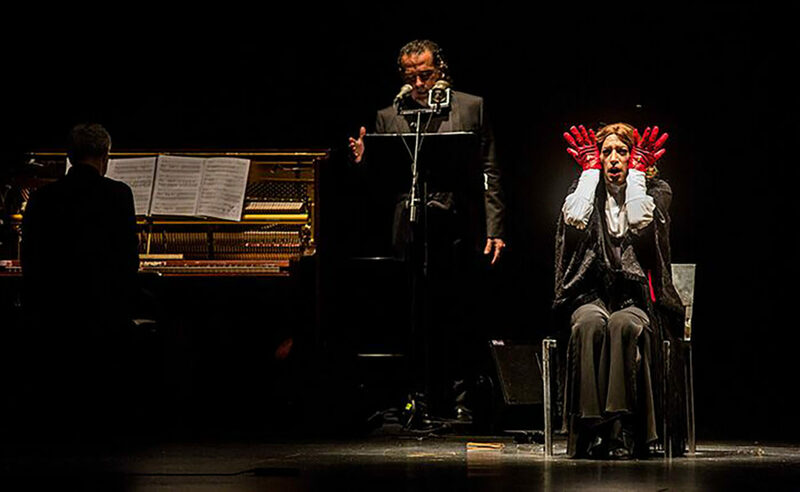 This is not a new show, it was premiered last year at the Festival de Jerez and at the Bienal de Málaga, in a larger format and with luxury performances by Concha Vargas, Juana la del Pipa and María del Mar Moreno. It will be hard to match that, Seville. The show is called “Así que pasen veinte años” (“Even after twenty years”). No, it has nothing to do with the novel of the same name by Juan Marsé, and it’s not a tribute to the ominous García Lorca’s theater play “Así que pasen cinco años” (“Even after five years”), finished on August 19, 1931, exactly five years before the poet’s tragic death. Antonio El Pipa just means to thank life for the twenty years of his company’s artistic career. 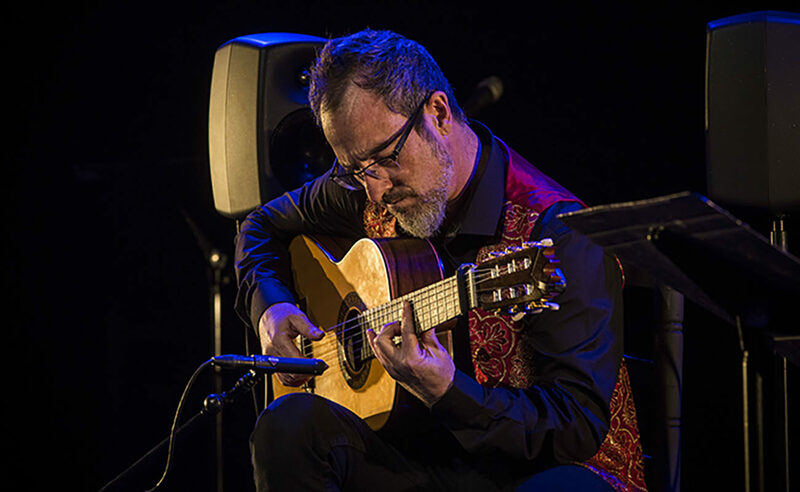 Thus, this show is a journey through his most renowned productions, without further conceptual puzzles to challenge the brains of the patient aficionados who just came to see him lift his arms and give them his flamenco soul for one hour and a half. Nothing more, nothing less, that would be enough. Antonio El Pipa has a very peculiar way to express his art. Rather that using his feet (as he has never been particularly outstanding with his lower limbs), this Gypsy bailaor dances with his face. He has an enviable physique and the perfect look to feature in folkloric prints. He’s wearing brown and jet black, as if ready to bullfight in a print by Goya in Ronda, captivating the public with the grace and fury etched in his lips, his pupils overflowing with this spectacle of baile. 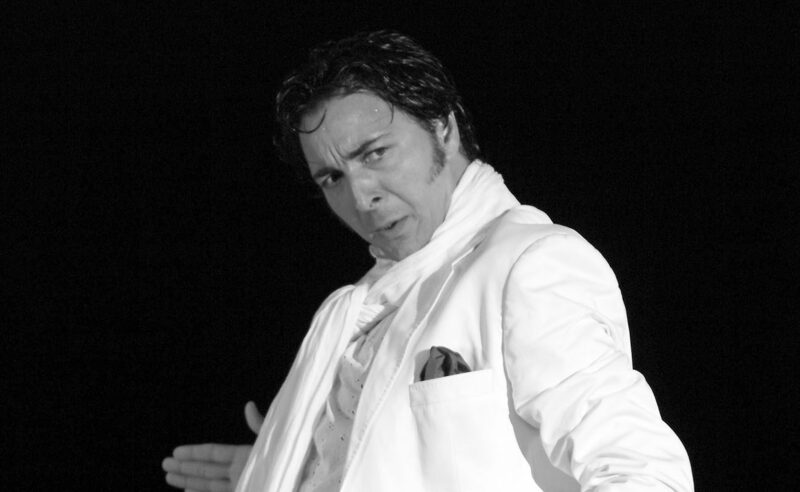 He dances por alegrías, a number from his show “Gallardía”, the ideal word to define his flamenco poise. Just before that, three reliable cantaoras made clear that cantehad an important role that evening, performing La Trilla from the show “Vivencias”. On stage appeared Macarena Ramírez, a wonderful bailaora from Chiclana de la Frontera, a luxury for any dance company. Her tiny, girly frame is like a white lamb, sitting on a lone chair. Antonio commands her to dance, forcefully, quite literally. To dance after being disdained. The song por guajiras is part of the show Puerta Adentro. She has an impeccable control of the fan, and such is her grace and charisma that it’s impossible no to follow her on the stage. 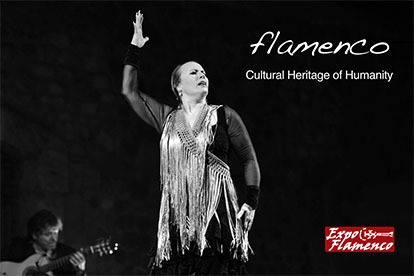 Yet, although they were announced in the program’s handouts, there is no room for martinetes or seguiriyas, lest the public suffers a purity overload, considering the state of flamenco these days. 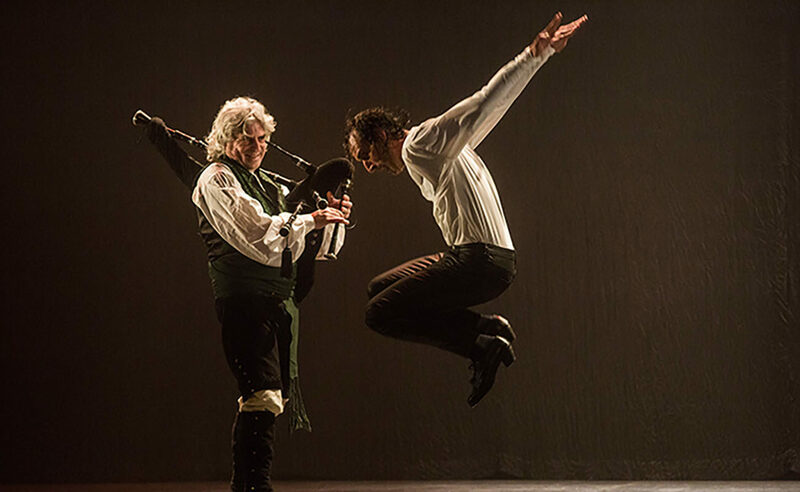 The traditional cartageneras were performed, though, from the show Pícaros tartaneros, linked with tarantos a compás of tangos para el baile by Antonio, who was now fully engaged, continuing to provide images worth of folkloric paintings in a 3-4 compás. Perhaps this was the least intense performance in the whole evening. If the raw ingredients are good, all the stew needs is a good seasoning. If we then add dedication, effort and commitment, then the dish becomes absolutely delicious. It was the evening of Ofelia Márquez, Gypsy bailaora settled in Rota, who debuted as Antonio El Pipa’s dance partner. She was a great example of baile in its own right, and we’ll keep an eye on her evolution. Her dance por bulerías romanceadas, between Lebrija y Utrera, and her final de fiesta squeezed all the best from Antonio, who felt more Gypsy than ever, taking advantage of his very flamenco arms, which are part of his trademark. And that dance with his face we mentioned before, teasing, rogue and sensuous, enjoying himself for being at ease. Abusing the desplantes, true, and also the untimely little steps, although that’s typical of him. We can’t leave out the three guitarists Juan José Alba and Javier Ibáñez, in charge of the music, and Dani Ramírez. Even as, at first, we couldn’t figure out why there was a need for three guitars playing in synch, the fact is that they provided a clean and intelligible sound, perhaps also due to Alan Gil, in charge of the show’s sound. The lights by Elena Postigo, finally something more than just black and white, and the illustrations and animations in the stage’s background by Domingo Martínez contributed to that feeling of success at the end of the show. Show: Así que pasen veinte años. Compañía Antonio el Pipa. Baile: Antonio el Pipa, Macarena Ramírez, Ofelia Márquez, LauraBejines, Margarita de Castro y Pilar Ramírez. Cante: Sandra Zarzana, Fanía Zarzana y Toñi Nogaredo. Guitars: Juan José Alba, Javier Ibáñez y Dani Ramírez.